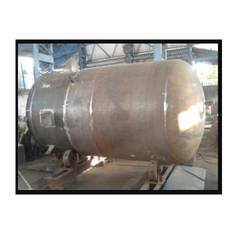 Prominent & Leading Manufacturer from Navi Mumbai, we offer stainless steel storage tanks, process reaction vessel, limpet coil vessel and platforms. 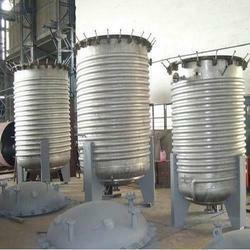 We provide different types of Storage Tanks to easily withstand the hydraulic pressure of contained liquid like chemicals, oil, acid etc. Pressure range 10 to 150 kg/cm/g Temp. Gas-Liquid Interface Area Upto 50 Sq.M Per cu. M Heat Transfer Area Upto 10 Sq. M Per cu. With several years of experience in this business, we are into providing a flawless quality range of Jacket Reaction Vessel to our clients. Offered complete GMP systems with Basic & Process Engineering Layout ft Detail Engineering. Also meeting 'C-GMP' Standards and stringent requirements of international regulatory bodies like USFDA, UKMCA, TGA etc. The Nozzle Et the Reflux line connections can be provided with Sanitary Triclamp, DIN, SMS, IDE or flange ends as specified by the user. 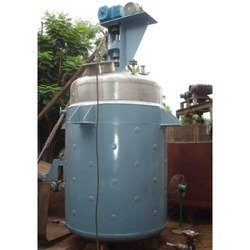 Our organisation is counted amongst the most distinguished manufacturers and suppliers of qualitative Limpet Coil Vessel. 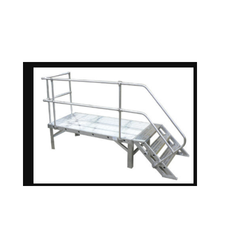 Our organisation is highly trusted in offering Work Platforms to our clients.